In April 1993 it was announced that the third Ewald Prize had been awarded to Professor N. Kato (Department of Physics, Meijo University, Nagoya, Japan) for his outstanding and profound contributions to the dynamical theory of X-ray diffraction of spherical waves by perfect crystals and slightly deformed (nearly perfect) crystals, for the experimental exploitation of these theories towards the characterization of the defect structure of single crystals and for his extraordinary achievements in X-ray diffraction topography. 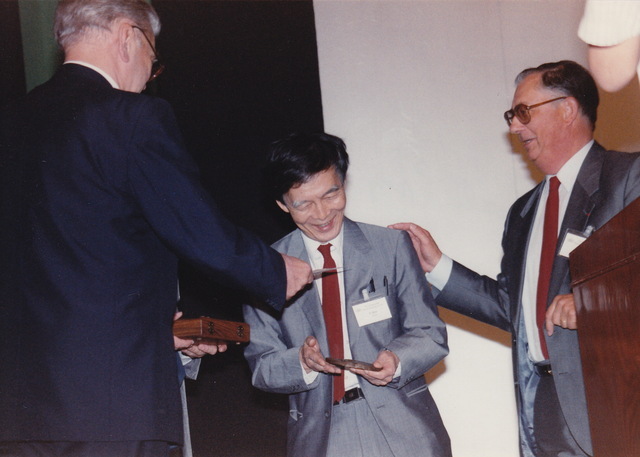 The presentation of the Ewald Prize was made during the Beijing Congress Opening Ceremony in August 1993. For a list of papers by Professor Kato appearing in IUCr journals click here.